If you remember the name of your kindergarten teacher, raise your hand. In a poll of adults, almost 70% could recall the person with great clarity. This is remarkable, because not only was this decades ago but the respondents were just 5 or 6 years old at the time! Our very first teachers were memorable because they were sources of inspiration, providers of fun, and among the very first people (outside of our parents and families) to instill in us expectations of how we were to behave in school and at work for the rest of our lives. So much of what we know about focusing, behaving appropriately, learning and socializing was learned in that short 9-month period when we sat in Ms. King’s, or Mrs. Toan’s, or Mr. Albright’s rug and listened to the stories they read and followed the activities they led us in. Kindergarten teachers are tasked with one of the most important jobs in the world: caring for our children and preparing them for the next 12 years or more of learning and education. It takes an incredibly special person to do this well and what, at a glance, may seem like an easy job is actually quite complex, incredibly demanding physically and intellectually, and one that more and more requires a facility for collecting and analyzing large amounts of data. A great kindergarten teacher comes with skills that rival any manager’s abilities leadership, mentoring, organization, and collaboration.They take, what is at the beginning of the year, a group of unruly scamps and scalawags and, in 40 weeks, transform them into a team of focused learners, ready to move on to the rigors of 1st grade reading and arithmetic. Here are 5 things that kindergarten teachers must do in order to successfully put our kids on a path to lie-long learning and success. 1. Lead. The kindergarten teacher is the captain of a ship; they carry the weighty responsibility of training kids to sit still, listen, absorb, and learn. A great kindergarten teacher establishes early that she is the boss, that her charges must focus on her and listen closely to her instructions. But, teacher also knows the importance of listening to her students closely and allowing them to express their own ideas and opinions. While a great deal of what kids learn in school is direct and fact-based, of equal importance, especially in kindergarten and the primary grades, is teaching kids how to learn. Like teachers, entrepreneurs need to understand that much of learning has to be self-directed and that they are there to assist and mentor along the way, but they are also there to keep their team on a fairly narrow path, make sure they develop the skills they need along the way, and show them how to discover for themselves as they go. 2. Differentiate. Teams are made up of their members, and every teammate comes with differing skills and abilities. For instance, some particularly precocious kindergarteners arrive at the first day of class already reading while others may only start to crack the code by the end of the year. Some of the kids will be very adept physically, others may have advanced social abilities, and many will come with a variety of special needs. 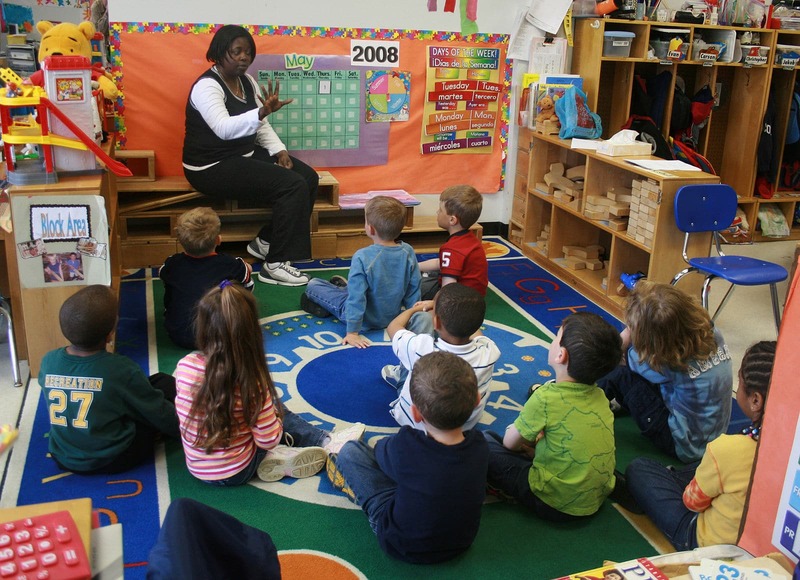 Kindergarten teachers must differentiate between 15, 20 or more kids, each with their own distinct talents and deficits and find ways to teach to each of them that allows all to achieve.And just as a good marketer will segment their audience and deliver different messages to different segments, great kindergarten teachers also think of their classroom as made up of multiple audiences. 3. Collaborate. Remember the unruly scamps and scalawags that I mentioned before? One of the key lessons that they must earn in their year in kindergarten is how to work together effectively and productively. Like an entrepreneur managing a team of workers, the kindergarten teacher must train his kids define goals, determine a strategy, and execute the specific tasks needed to execute. For instance, a simple math task like sorting or inventorying requires the teacher to help the kids establish a game plan and together execute the tasks necessary to arrive at the solution. Entrepreneurs lead diverse teams made up of strong individuals and, to get the best results, managers must facilitate teamwork to achieve goals and execute strategy. 4. Assess. Just as managers determine metrics and collect data to measure progress against a goal, kindergarten teachers must also constantly assess his student’s progress in order to determine whether the curriculum is working as intended and the students are learning the skills as intended. Teaching is quickly becoming as data-driven and technology dependent as many businesses and the best teachers have become adept at the collection and analysis of data to help them design their approach to the classroom. 5. Make it fun. Kindergarten teachers lead the group in games, songs, and a whole bunch of other fun activities. The kids get to listen to stories, run on the playground, make art, get messy, and laugh a lot. Entrepreneurs must remember how important it is for the team to have fun at work and, like a kindergarten teacher, design activities and offices to build an atmosphere where hard work, focus, productivity and fun permeate.